Medical Software – Accudata Service, Inc.
Medisoft is a proven, trusted, and affordable practice management solution designed to simplify the way you run your practice. Medisoft is a practice management system that helps you manage scheduling, billing and the revenue cycle. Capture every dollar of revenue owed to you while reducing repetitive administrative tasks. Medisoft allows you to streamline your workflow and billing and generate practice reports and analysis so you can work more effectively and efficiently. 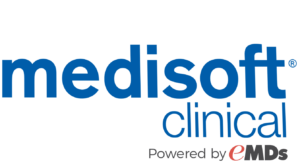 Medisoft Clinical provides you with both practice management and a complete electronic heath record (EHR). 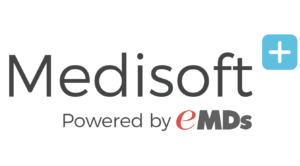 From easy and flexible scheduling and billing, to advanced clinical capabilities, Medisoft Clinical supplies you with tools to help you run a modern practice and deliver superior care. With Medisoft Clinical you can customize how you document each visit through templates. E-prescribing allows you to order prescriptions quickly, accurately, and easily. Your small practice faces the same complaex reporting requirements as a big health system, but Medisoft Clinical makes compliance easy. Searchable patient data and centralized access to all critical information, including messages, results, and performance, lets you quickly produce clinical reports that allow you to avoid penalties and save administrative time. Medisoft meets web-based technology to bring you a solution that provides you with the flexibility of being able to access patient and practice information from anywhere at any time, on the device of your choice. 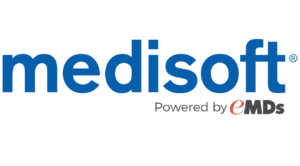 Requiring only an internet browser and connection to function, Medisoft Plus reduces hardware costs by eliminating the need for an application server. Continue using the software system you are already accustomed to while keeping up in a world of rapidly advancing technology. For a list of new features included in the newest version of Medisoft, v23, click here.